Children love making and reading books! 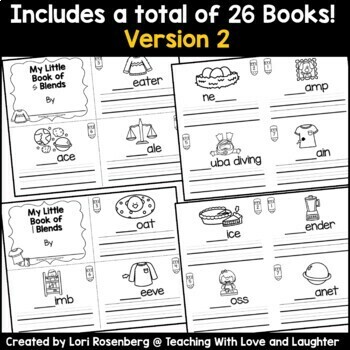 These 26 little books are easy to use and so much fun to complete! 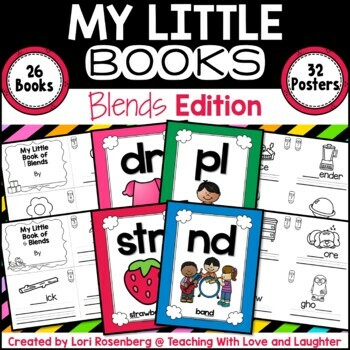 There are 4 to 5 books for each blend. Each book comes in 2 different versions. Just copy the books front to back. The front of the book has dotted lines for the children to use as a guide to cut the book in fourths. The pages are numbered and none of the numbers will be hidden by a staple. Then, just staple and that’s it! Since there are at least 4 different books for each skill, you can introduce one during your whole group, then put one at a center or use it in a small group. You can use one for homework, as an assessment, or for a spiral review, later on. 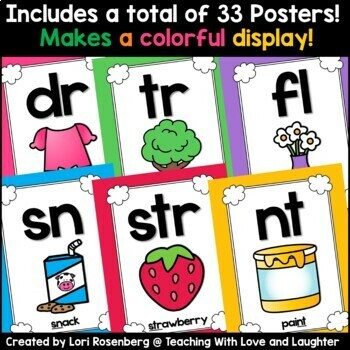 Display the posters in your classroom, for further reinforcement. Posters can also be printed 4 to a page by adjusting your printer’s settings. 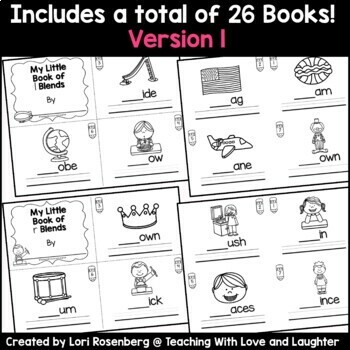 Click here to see all editions of My Little Books!